In a recent study commissioned by Nitro, a digital document solutions company, researchers found that only six percent of Americans would reduce their toilet paper usage in order to save paper. When compared to other paper products like newspapers, books and magazines, it seems that most people would rather ditch their reading material than lose a few squares of toilet paper. The study revealed plenty about Americans' attitudes toward paper products. 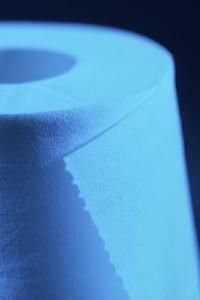 For instance, 48 percent of people surveyed said they would reduce their use of newspapers instead of toilet paper. Perhaps a bit more depressing is the 31.6 percent who would reduce their use of books, but with the widespread use of tablet computers, this has already been on the downturn. These statistics say a lot about our culture and our willingness to practice conservation. After all, according to National Geographic, close to 27,000 trees are eliminated each day to produce paper and nearly 10 percent of those go to toilet paper production. Thankfully, you can help do your part by using a few less squares in the bathroom and opting for the single-ply instead of the double. What other tips do you have for homeowners who want to reduce their paper waste throughout the house?